The B-2 spirit is a stealth bomber, developed by the American company Grumman Aircraft for the United States Air Force. The main characteristic is the flying wing design. 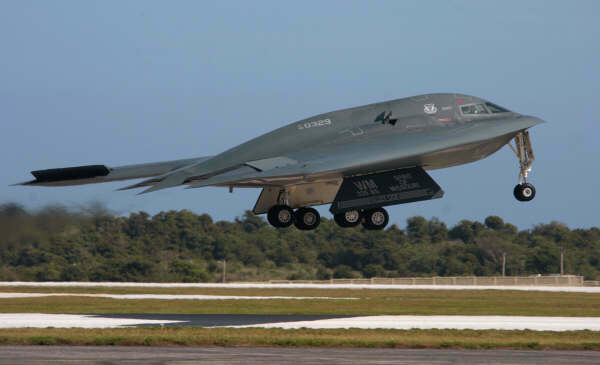 The B-2 has a very high invincibility for enemy radar thanks to the stealth design, radar absorbent material (RAM) and the hidden engine air inlets and engine exhaust gasses. 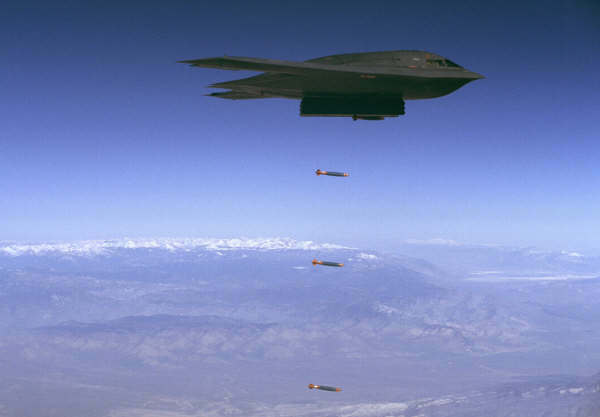 The B-2 can drop guided and unguided bombs at a height of more than 10Km with a precision in meters. These bombs can be lead to their target by special forces on the ground. 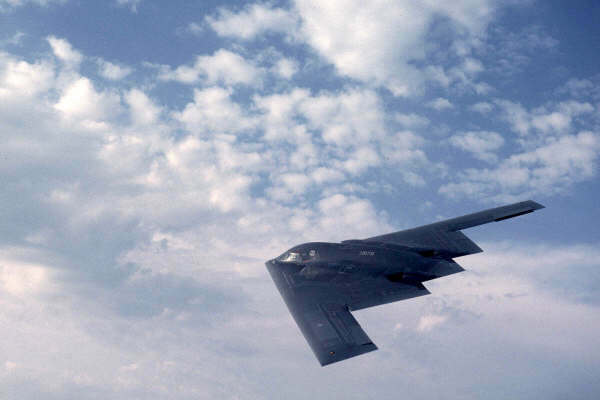 The B-2 was first used operational during Operation Allied Force. The US Air Force has 21 B-2 Spirit bombers which are stationed on Whiteman Air Force Base with the first delivered in December 1993. 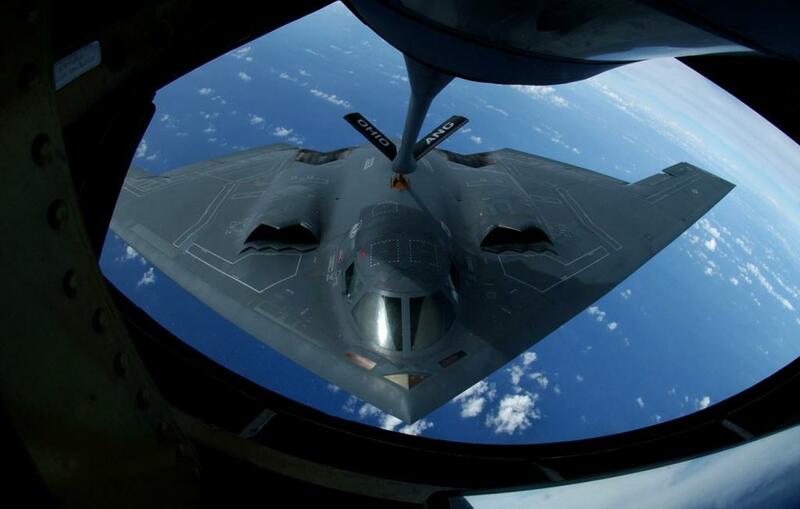 The B-2 operates mostly from Air Bases in the United States and will be aerial refueled during missions. There are also a few B-2 on Forward Air bases but when they have flown a mission they fly back to the US for maintenance on the stealth. The bomber flies always at a altitude approximately 10Km (33.000 ft) for the safety of the aircraft and the crew. The crew contains of a pilot and a mission commander. Operational usage Operation Allied Force (Kosovo), Operation Enduring Freedom (Afghanistan), Operation Iraqi Freedom (Iraq), Libia 2011. On February 23, 2008 local time (February 22 USA-time) the first B-2 Spirit ever was crashed. The B-2 toke off with 3 other B-2's from Anderson AFB, Guam in the Pacific after it crashed. The 2-men crew escaped with their ejector seat but were taken to a military hospital for observation. 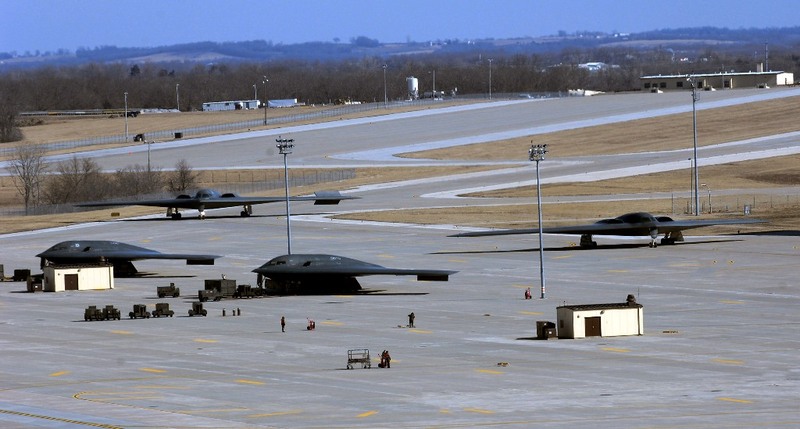 The 3 other B-2's returned back to Anderson AFB. The cause of the crash is still unknown. The B-2's were on a 4-moth deployment in case of a continuous US bomber present in the Pacific. They would be replaced by 6 B-52 Stratofortress from Barksdale AFB which are already on Anderson AFB. 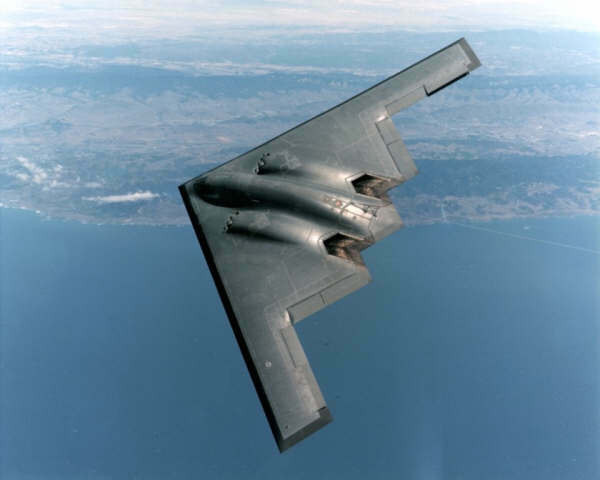 The B-2 has been used during the Kosovo crisis (Operation allied Force), in Iraq (Operation Iraqi Freedom) and Afghanistan (Operation Enduring Freedom). There have been used only a few B-2s in Afghanistan because the enemy artillery was very old and the B-2 wasn't needed. That's why they used the old B-52 Stratofortress which causes a Shock and Awe effect to the enemy. 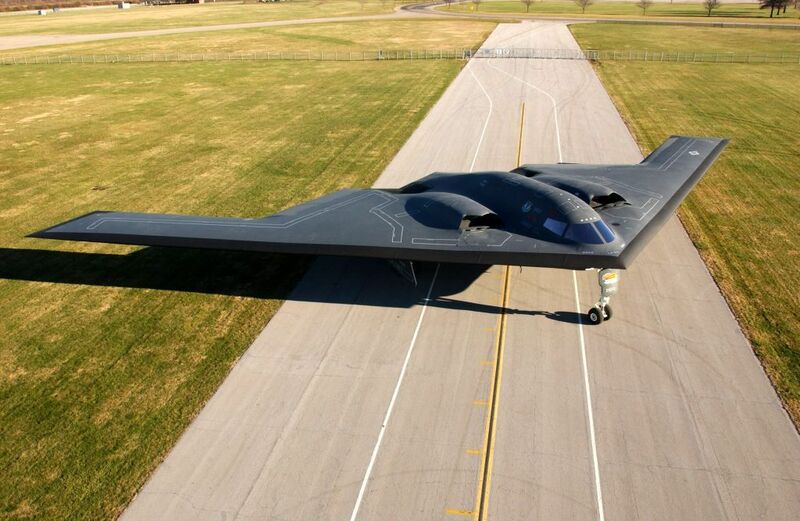 Three B-2's have been used during missions against Gadhafi's regime in Libya in March 2011. The B-2 has more flexibility and affectivity than the B-1 and B-52. The B-2 is fully stealth thanks to special material of the outside and in combination with of infrared and sound-absorbed, electromagnetic, visual material and radar. The exact information is secret. The systems in the airplane contains about 130 computers with 2 million software lines. Problem with the B-2 is that it flies too slow. A new bomber for the US Air Force must fly faster but also be stealthy.